Did Anne really love Henry? I’m no historian, but I believe she did. In my opinion, what girl could read words like this, written just for her, and not develop some sort of affection for the writer? I have researched a considerable volllume of marriage contracts of the noble and royal families during this period, prior and subsequent. If love, true- love, was ever a factor, it was usually a brief and fortunate luxury. Daughters were groomed for a marriage of social advancement for the family in its entirety. The Noble daughters were prepared for this role usually spending their early years learning to behave with courtly graces. Much like the Geshia of Japan. Marriage contracts were written up fto the highest bidder, noble position and subsequent “social-climbing” possibilities. 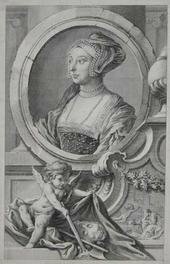 Did Anne Boleyn, really love Henry VIII ? II think Anne, did the bidding of her parents, king and was smart enough not to settle for less than many “mistresses” prior. Unfortunately, she underestimated her adversary and health issues. I believe that Syphillis, contributed to his iinability to conceive and later irrational behavior. At a time when wives who were diagmosed with such , were considered aulteresses, (iNever their husbands! ), they suffered in silence. interestingly today, men still try to blame an episode of an STD, on their wives and girlfriends. So, very little has changed now, in 2014!!! Money trumps “LOVE” most times in middle-upper classes and above. EDUCATION HAS BEEN THE GREAT EQUALIZER!! Though, women still get paid less and are promoted less often. For a woman to compete with her male counterparts, she must be the equivalent of an NFL draft pick. Yup! These are the averages.. Like winning the lLottery-of sorts! Thanks for reading my perspective/experience and correlation. From an opinionated, over-educated and qualified employee, with limited health benefits, insulting wages and sexual disrespect on 3 out of 5 jobs.-consistently since I was 17. Should have sued, but it was the eighties, I was young and information limited, deliberately- shrouded or just not available under law. some changes now, but they are weak. basically, a public shaming, (both parties! ), and occasionally- restitution of minimal amounts..Not much has SIGNIFIGANTLY changed. Henry is offering his picture as a present.. it’s not awkward? she falls for a man who already had 5 wifes … didn’t see she a pattern here? No wonder she ended up replaced and beheaded..
Miniature portraits were done especially to give away and so Henry was just following tradition. Henry, at this time, had only been married once (Catherine of Aragon) and was obviously still married to her, so there was no pattern for Anne to see. Henry was convinced that his marriage was against Biblical law and so was invalid. He didn’t already have 5 wives. At the time, he was waning a 20 year marriage that never had passion with Katherine of Aragon. So she was Henry’s 2nd wife and tore the country apart and broke with Rome to finally marry her after 7+ years. 3Rd, 4th, 5th, & 6th wife came later. And even if she saw any mistreatment of Katherine of Aragon from Henry by this time Katherine was her enemy and rival so she looked at differently. From all that I have read, he did love Katherine very much. Their marriage did have passion and devotion for 20 years. I don’t know about Anne, but if it were me, this guy would drive me up the wall. If Henry were alive today, he’d be that guy who favourites every single one of your tweets and comments on every single facebook post. During Renaissance England, there were codes of chivalric love, sending her the buck,.. and romantic language that doesn’t fit with modern times. While Henry wasn’t used to hearing “No” – he certainly wasn’t like a modern “boyfriend” of yours and he most certainly would have the upper hand in any power dynamic as King. Here, he hadn’t had Ann say “yes” yet -so she wasn’t his and they were apart for I believe, a year? I think one would need to have a far greater education on Tudor England, and perhaps have a “fly on the wall” type of experience to appreciate his far from modern sensibilities. I think she did come to love him – but there was quite a bit of fear attached, as she was no fool and had observed his passing fancies before, and was probably looking for deeper assurances. He seemed to love intensely and capable of passing quickly from quixotic intensity. He was obviously idealistic, seemed to project those passions onto his present fixation and bored easily. I think Anne really did love him, because she did eventually marry him. I don’t know if she wrote back to his letters, but thats not imprtant.